Frankly, I think it would be easier to use the truck. But I’m not the mechanic who has to get the truck started. End of the month State of the Blog covered mid-month, Sine Die … Or Not. Previous S of B posts listed here. What a hoot! You are so determined! What? You didn’t use the Fiat 500? I have put 2 bales in the Fiat. Everything ends up full of hay around here. Funny pix! 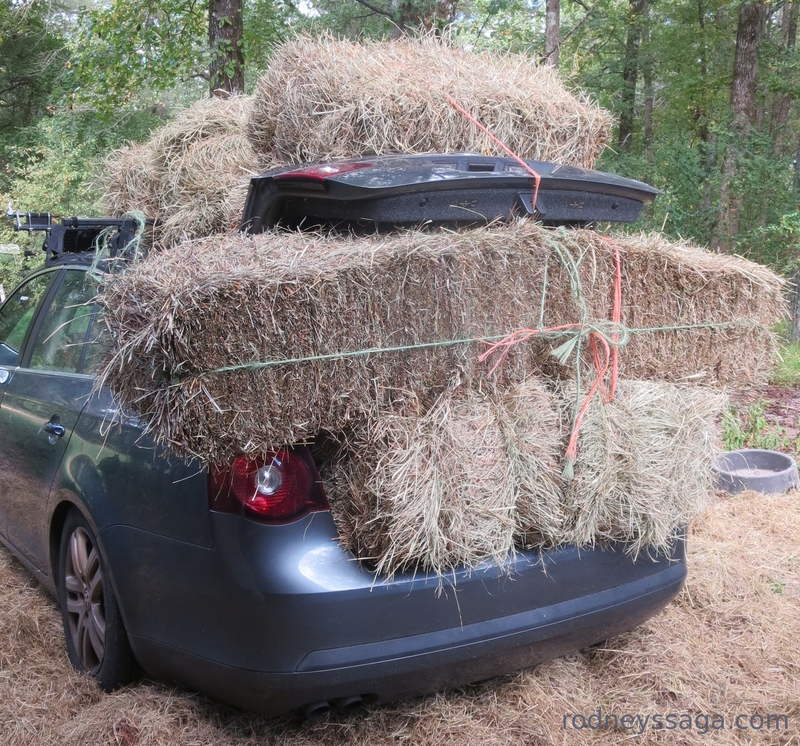 I bet you got a lot of strange looks driving home with all that hay.